Carrying on from my previous blog entry, I awoke the next morning with the sudden realization that I didn’t know what I would have for breakfast or lunch. 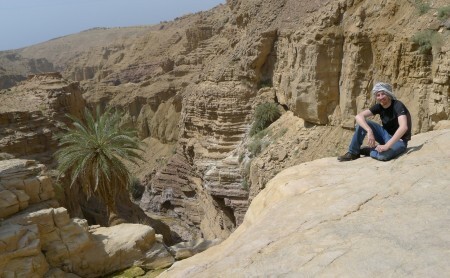 Whenever I did wadi hikes previously, it was with a house of my own and a well-stocked fridge. I decided to test my luck and hope that Abu Jbara would be open already at 7:40 in the morning – and they were! Six falafel sandwiches over the course of 12 hours? No problem! Grace and I rendezvoused with her friends at 7th circle on the way out of town, heading towards the Dead Sea. 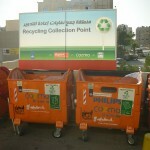 I had the opportunity to see how the recycling drop-off point, constructed by Entity Green, had changed over the years. When I left, it was a couple of bins with a big sign over it right next to the Cozmo grocery store. 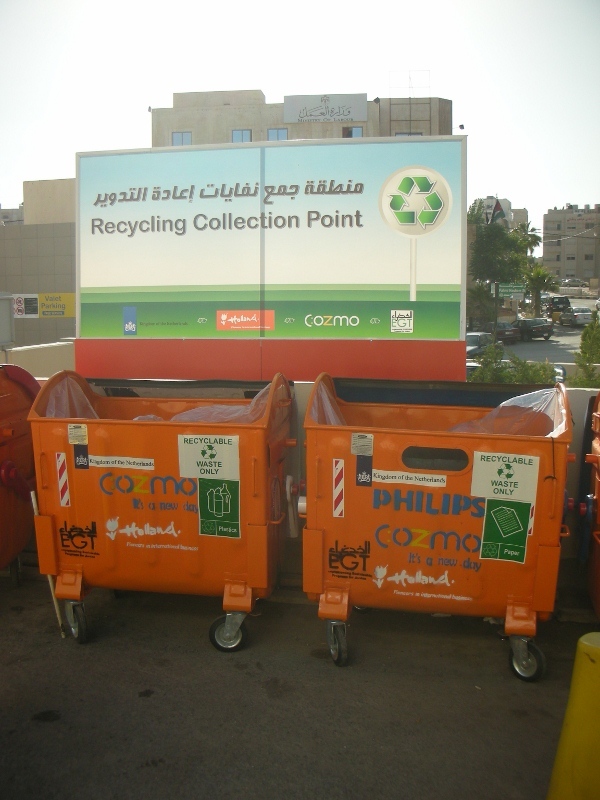 Now it had been moved further away into a parking lot, but it didn’t seem to be a slight – the bins had changed into a mobile home-sized green-painted building with separate room, diagrams of how recycling helps the environment, and separated slots for 5-6 different items. I noted they were still collected stale old bread, something that EG used to collect when I was around and resell to farmers to use as feed. 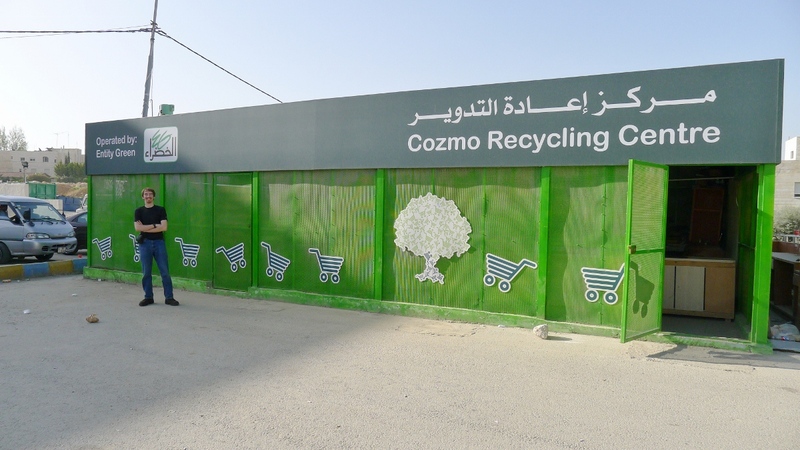 Entity Green's Cozmo recycling center - it's so big! All told, we were eight intrepid hikers heading south through the surprisingly green countryside toward the less-green slopes near the sea. Only a month ago, Jordan had issued a minor “emergency” of several inches of snow, causing school to be closed for two days and throwing the city into chaos. Jordanians barely are able to keep from crashing into each other in good weather days; the addition of any extra element into roads is understandably a recipe for disaster. However, the added moisture had done wonders for the appearance of the rocky terrain, and the weather was warm and sunny. When our two cars reached the point that Nelle had told us about, precisely at the “55km to Amman” road marker across the highway from the Dead Sea’s “O Beach”, we found a nice little semi-cleared flat lot. We could expect to see Bedouin on the trip, as Nelle had pointed out a watermelon patch that her groups had walked through on their way back out of the wadi on the northern cliff overlooking the wadi. The Bedouin’s influence on this area would turn out to be quite beneficial to us later in the day. At first, I have to admit that we were disappointed. Although there was the usual concrete bridge holding up the highway and allowing the wadi to drain into the Dead Sea…it was absolutely dry. I’d never seen that before in any of the Dead Sea wadis we’d visited before, and I worried that this was going to be more of a rock climb that anything else. Grace even called Nelle (thankfully for us, the nearby hotels mean that there are plenty of cell towers nearby to prevent any loss of coverage, in case of any accidents) to make sure that we were in the right place. We shouldn’t have worried – the ground grew damp bit by bit, and finally a small trickle of water was found vanishing into the dust. From there, the trickle turned into a small but steadily gurgling stream, filled with the typical thick green strings of algae so common in Jordan’s wadis. As pretty as it is, it’s probably caused by the overuse of fertilizers by Bedouins – it’s commonly known fact in Jordan that crop farmers receive water and fertilizer subsidies from the government even though the GDP from crops in the country is quite small. 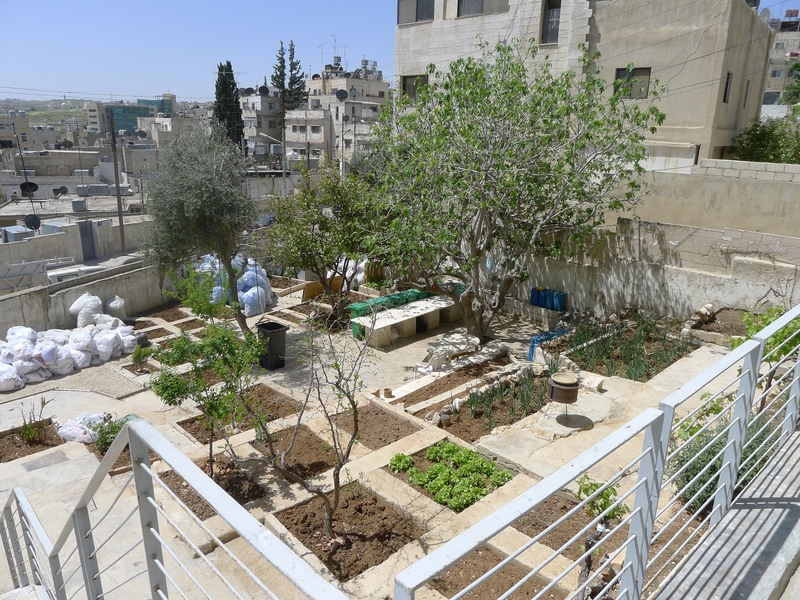 Many activists in the country wish the government would stop the subsidies in order to try to encourage Jordanians to grow crops more suited to the desert, but of course that’s not likely to happen anytime soon. As we walked through the canyon, we passed in and out of shade quite frequently, a sign of fluctuation in the width and height of the canyon walls. The high exposure to sun, the small amount of water, and the numerous waterfalls, big and small, reminded me a lot of the Wadi Himara hike I’d taken a few weeks before my departure in 2010. Truth be told, although we saw a lot more frogs and crabs than any other wadi hike I’d been on, there was nothing particularly special about the wadi. It boasted several very large waterfalls (probably in the top five in the country, after the country’s largest which is in Himara) that made for a good place to relax and snack in the pleasant shadows of the 40 meter tall canyon walls. If you squint, I'm the tiny black dot on the wall of the canyon. It was a slippery climb! It wasn’t without dangers, either. One of our eight members, a tall and quiet Asian fellow named Charles, nearly slid to his death (or at least probable injury) as we were climbing up an almost sheer rock face that Nelle had aptly named “the sketchy part” of the wadi hike. Basically, in order to reach the sought-after deeper water pools further up the stream, getting to the top of that 40 meter waterfall was necessary and the sketchy route was the only one we knew. A slight misstep and a strangled “whoa” and I saw Charles begin to bounce down the slope. He was saved by a large fern plant which stoically grabbed at the edge of the canyon wall, and its large fronds waved in his face as he shakily pulled himself back to his feet. I was the last one in the line of our party of eight – Grace and I probably had the most wadi-hiking experience, and some of the members, including Charles, had none at all. None of us had ever been to the wadi before. The only other close calls that we had – and me personally, too, was people bouncing baseball sized rocks past my head as we struggled up the side of the cliff. I encouraged us to fan out as much as possible on the cliffside to prevent a misstep from dislodging killer rocks on each others’ heads. 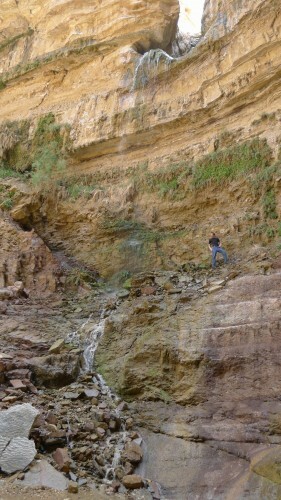 It was odd, and exhilarating, to be both an old hand at wadi hiking, yet new at it all over again. The practiced tapping of the rocks with feet to test for stability, the hot sun above us, the smell of the oleanders all around – it was like I had never left, yet I was vividly happy to be back after my long absence. After another 20 minutes of walking above the wadi, we reached what Nelle had called the campsite, a cleared area with plenty of shelf-like flat rocks directly above the waterfall. You don’t want to be a camper who sleepwalks at that campsite, to be sure. I hesitantly gulped down the rest of my falafel sandwiches and watched the water shoot off into space below us, hitting the ground far below beyond our viewpoint. The sun was broiling hot by that point, but there was a small cave that provided some shade at the entrance. No one went too far in, because it appeared that the Bedouin’s sheep had been using it as a public toilet as well. The others were ready to call it a day, and decided to use the goat tracks on the opposite side of the cliff to make their way to the watermelon patch that we could clearly see in the distance; a little green patch in the red and brown stones. Grace, in her immense kindness, humored my urge to see the pools of water that Nelle had said were still higher above us, but the hike had been easier than I thought and we had gotten farther than I had thought we could in such a short period of time – it was hotter than I figured it would be by the time we reached the campsite. The pools were 45 minutes away, but I decided they would be there the next time I was in the neighborhood, and half an hour after everyone else, we headed back the same way they did. Back in Amman, I had time to gingerly lie on my bed for half an hour before heading over to Cycling Jordan for a night ride. Whereas my morning companions had all been fellow foreigners, it was time for me to be the only ajnubee in a group of young sporty Arabs. Sa’ad knew I was in the area and was there at his shop to greet me, but to my surprise he told me that he had mostly “retired” from biking. He was sporting hair longer than I’d ever seen on him and was wearing business casual clothes, too – I was sad that he couldn’t join us, but happy to see my old friends Sari, Hussein, and other old biking pals. Instead of posting the Google Earth .kmz file here like I used to do, I’ve tried my hand at making the route in Google Maps instead, and just linking you to a page instead of a file! 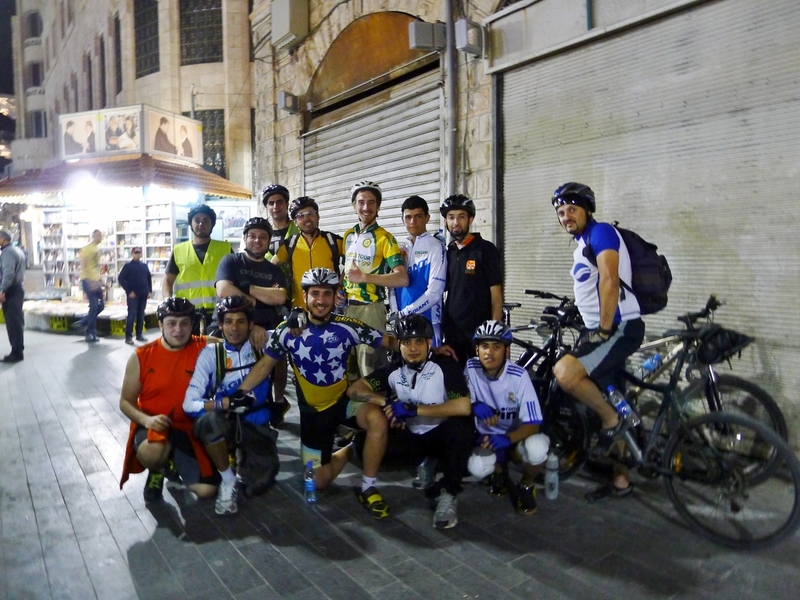 We started at Cycling Jordan in West Amman, went through the equally-rich and foreigner-filled Abdoun district in the south, and then finally ended up in the belaad for famous knaffeh pastries from Habibeh. Three of our riders were recently-arrived Iraqis who had heard about Entity Green (Training) from friends. We've become a legend! After a well-deserved rest the next morning (and, um, early afternoon as well) I did a bit of wandering about the city, trying to manage my remaining few dinars carefully so that I could be assured a taxi or bus ride’s worth back to the airport the next day. I couldn’t believe how fast the trip had gone by, but those are the breaks when you’re a professional I.T. guy in Wisconsin – no more telling Wajih “I’ll be in Central Asia for oh, two or three weeks or something, just pay me a little bit next month” and having that be good. I fit another trip to al-Borij in with Rami (my Dead 2 Red friend; he’s the one on the far right in the above picture) and we saw our friends Mai and Rula in a women’s classical Arabic concert – the two of them also played classical Arabic instruments in Dozan for our trip to Germany in 2010. Here’s one of the pieces below – Deggo al-Mahabeej. I had a chance to stop by my old house and chat with Magid. He was busy with his own recycling company, "Green Future" at the time - but it looks like Philip's old garden is doing well. I took a servicee shared-taxi out to the north part of Amman, so I get baklava from a store that Rami had recommended to me – Tahoona Shamieh, or the Levantine Mill, more or less. It was pretty close to my old go-to store for computer parts, too – PC Circle – so I thought I’d stop by and say hello to my old supplier, Mohammad. I’ll admit it never got old throughout the past week to be given so many warm and heartfelt welcomes, and Mohammad was no exception. The young muhejibeh woman working the checkout counter recognized me at once, and when I asked her, “where’s the boss man himself?” Mohammad immediately emerged from his office in the back and said “Zach! You’ve come back to Jordan!” His father owned the grocery store next to us, so he immediately sent someone over (through a cool secret sliding wall behind us that apparently opened directly into his father’s office) to get some juice for us. I asked him how business was, and whether anything exciting had happened. He and his aid exchanged wry glances. “There was a gas tanker truck that exploded about a block away from here, a few weeks ago.” I knew exactly the kind of trucks he was talking about, and although I was shocked to hear it, and see the videos and photos of the massive explosions that had sent 50 kg gas tanks shooting in all directions from the truck like missiles, I had always wondered why it didn’t happen more often. 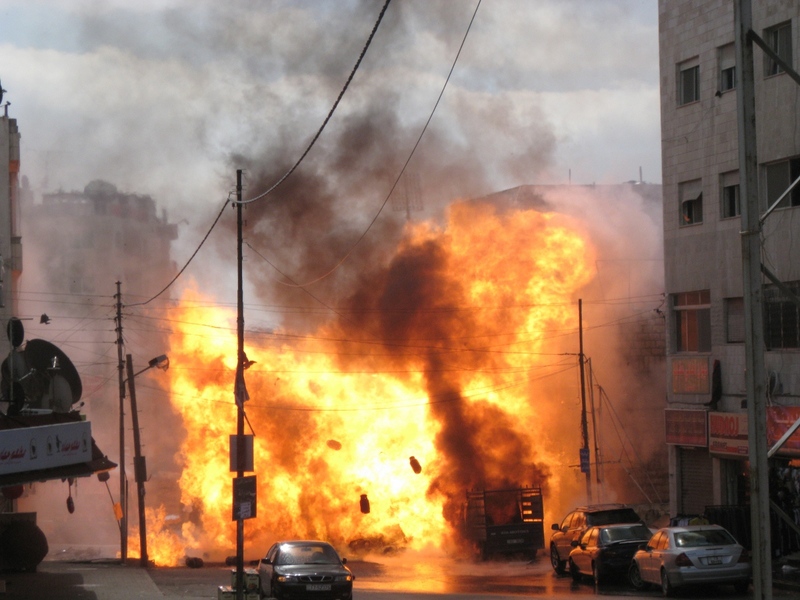 You see these bored truck drivers smoking cigarettes all the time, screeching to stop signs, and generally behaving in a way that we would term “reckless.” Mohammad took me to the site of the explosion, which I had walked right past on the way there. I never would have guessed that there had been an explosion like what you see below (multiplied by about 30 for the number of tanks that actually ruptured) there. Night had fallen on the city when Jen and I drove back to her house so I could finish packing. A few of my old biking friends who had been out of the country on business during the night ride wanted to take me out to dinner and catch up, so I selected Abu Jbara as my traditional “last meal in Jordan” stop. I’ve eaten there alone, with Haitham, and now with Wafa’ and Mohammad. At least this time the employees of the restaurant didn’t request that I sing Michael Jackson songs, which has definitely happened a few times. Wafa’, an investor and architect only a few years older than me, pushed plate after plate of fu’ul, baba ganooush, fetteh, and bread at me. “No one is going to want to sit next to you on the plane, you’re eating so many kinds of beans,” he laughed. I departed Jordan at 2:30 in the morning, more or less the same time that I arrived 8 days prior. Even though I hadn’t been able to do quite as much wadi walloping as I would have liked, in exchange I got to see many more people and more frequently then I had planned. So in all, I think the trip went better than I thought. After all, the wadis will hopefully be there for at least the rest of my life (even after the Dead Sea dries up entirely and vanishes) but the people that made Jordan special to me might not choose to spend their lives there – they could be anywhere in the Middle East or the world – and I can’t necessarily easily get into the other Middle Eastern countries as easily as Jordan! Looks like your night time bike route took you over the lovely Abdoun Bridge, which Mom & I crossed for the first time as we were leaving Amman. Seems you made the most of your 8 days! You left a big cliffhanger with those beans, but never described in detail and with many pictures all the different kinds of beans. I’m giving it a B+.